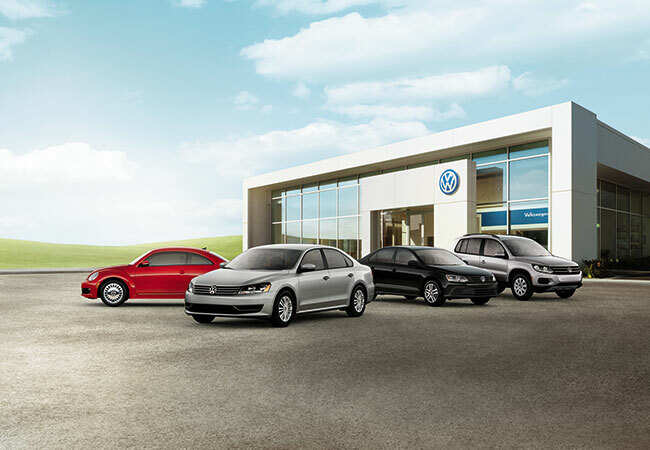 At Wallace Volkswagen of Johnson City, there's more than one way to finance your dream car. We offer exceptional rates and terms on both car leases and auto loans. Deciding which method is best for you depends on several factors, including your monthly auto budget, driving habits, and if you prefer flexibility or car ownership. Please continue reading to compare the benefits of buying vs. leasing, then head to our Volkswagen dealership in Johnson City, Tennessee, for a customized auto-financing solution! When you buy a car, it's yours to keep or sell whenever you pay it off. Customers can buy a new car with cash, trade-in value, an auto loan, or usually a combination of all three. You'll also be responsible for paying any taxes, registration, and other fees that come with purchasing a new car. If you choose to finance your new car with an auto loan, your loan payments will likely be higher than a car lease because you're paying off the entire purchase price of the vehicle, along with interest. However, after you've made your final payment, you will own a valuable asset that could be used to help pay for your next vehicle. When you own your car, you also have much more freedom than with a car lease. You can customize it as you want and drive as many miles as you'd like without breaking your car lease agreement. A car lease is like a long-term rental. For a set amount of time, typically 2-3 years, you'll make payments to the dealership for the use of their car. Then at the end of your lease, you'll have the option to lease a newer model, buy the car, or simply return it to the dealership -- no questions asked! If you want to get the most car for your money, an auto lease is probably your best bet. This is because you can often lease a car for a small downpayment, or none at all, and the monthly lease payments are typically smaller than with a traditional auto loan. Furthermore, leased cars will typically be under warranty by the manufacturer, so you won't have to pay for as many unexpected repairs. Car leases do come with some restrictions: You cannot make any custom modifications to the vehicle, and you will need to stay under the annual mileage limit, typically 10,000-12,000 miles, or else you'll have to pay extra fees at the end of your lease. If you still have questions about buying vs. leasing a car, the auto financing team at Wallace Volkswagen of Johnson City would be glad to assist you! Our team has decades of experience helping customers choose the best financing solution for their budgets and lifestyle. From checking your credit score to applying for auto financing, appraising trade-in cars, and calculating your monthly payments, we'll be here to support you at every step of your car-buying journey. We look forward to your visit to our dealership in Johnson City, TN!